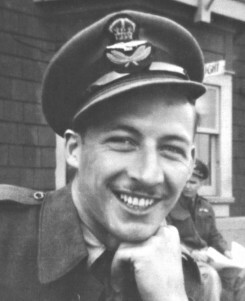 Joe Fogarty (died 2001) of Lot 2, Concession 3, joined the Royal Canadian Air Force as a young man and in October 1943 graduated at Centralia as a Flying Officer. He remained in Canada and was a Flying Instructor at St. Eugene, Que., and at Windsor and on other Ontario bases. After the war he worked for Air Canada and lived in Montreal.